By now, you've probably heard about Nokia's latest smartphone, the Nokia Lumia 1020. For a while now, they've been running commercials that focus on the phone's amazing 41 megapixel camera sensor, which is light years ahead of any other smartphone currently on the market. Heck, it's specs are even better than my regular digital camera, and that's saying something! It's pretty remarkable when you think about it. After all, how many smartphones do you know that have a 41 megapixel camera sensor, pure view technology, optical image stabilization and amazing high-res zoom? Honestly, there's no other smartphone that can compete yet with Nokia’s latest photographic technology. I had a chance to play with the Lumia 1020 at an event last week, and I was really quite impressed with it. As expected, the phone took phenominal photos, even in some low light situations where my phone just couldn't hang. And the Windows Phone 8 OS is great! I've been singing the praises of Windows Phones for quite some time now, and hopefully a phone like the Lumia 1020 will introduce more people to the Windows OS. Paul’s early morning walk through the heart of Manhattan has been documented into his creation of an endless zoom sequence awakening the city as he moves further along the street. With the incredible zoom quality featured on the camera, viewers are taken on a visual journey from dusk until dawn through the hub of New York. Paul brings the city to life, taking viewers on a simulated voyage through the city as if they are driving through the roads themselves. Pretty impressive stuff, don't you think? 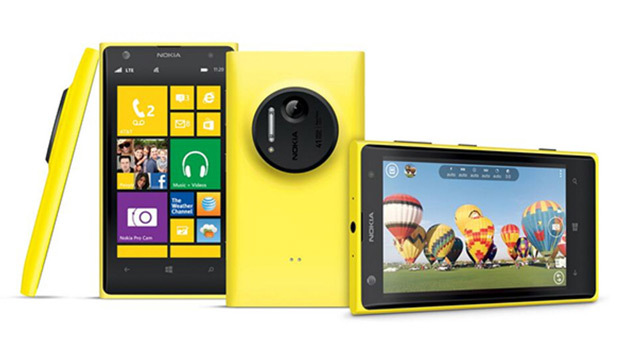 Click here to learn more about the Nokia Lumia 1020.